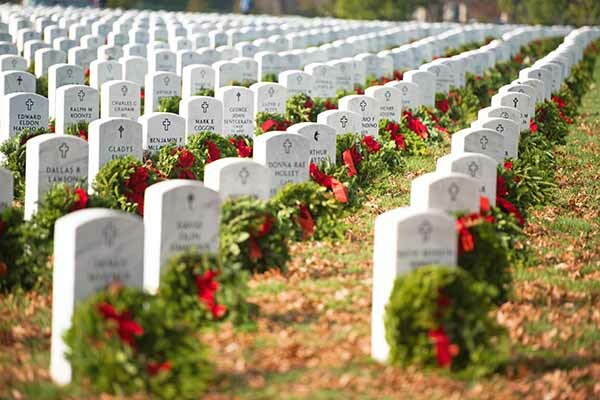 As a way to give back to those who paid the ultimate price to protect our freedom, the IAM Veterans Department is asking you to join us by volunteering to place remembrance wreaths at Arlington National Cemetery this year. The cemetery’s 624-acre landscape is a tribute to the service and sacrifice of every individual laid to rest within its hallowed grounds. It is the final resting place for more than 400,000 active duty service members, veterans and their families. The wreath-laying event will take place on December 16, 2017 from 8 to 11a.m. and is open to the general public. If you would like to participate, the deadline to sign up is December 6, 2017. Please email your name, address, cell phone number and District/Local Lodge to IAM Veterans Services Director Carlos San Miguel at csanmiguel@iamaw.org.